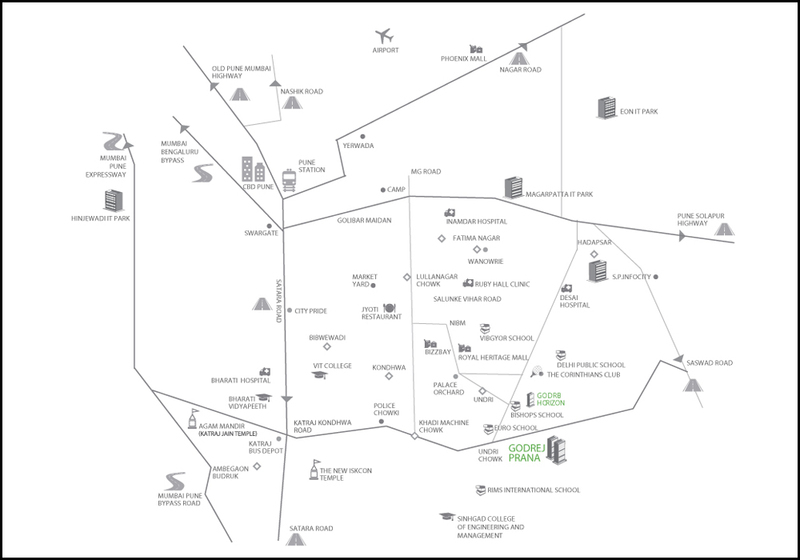 Godrej Prana: Homes for living a balanced life!! The legendary Godrej Properties presents Godrej Prana, an attractive and exclusive residential depiction stationed at Undri in Pune. The property is not just a home but it’s a place where you will create wonderful memories to be cherished for a lifetime. It lets you experience new ways to live a balanced life. The sprawling residential enclave covers a whopping 7 acres of land area and is complemented by beautifully landscaped greens that keep the environment fresh & vibrant. The developer offers you warm and cozy living spaces in varying formats ranging from 2, 3 BHK sets covering 740 sq. ft. to 1279 sq. ft. (Carpet Area) of areas. There are 354 housing units in all that ensure a healthy community living experience. The apartments feature smart interiors and have space efficient project layouts. The homes are intelligently designed that keep the place airy and breezy with ample sunlight illuminating all corners of the place. The major attraction of this project is that it has a unique theme based design that revolves around 4 themes: Nature zone – that connects you to the natural beauty and lets you live a luxurious life in the lap of nature; Joy Zone – thatfocuses on the needs of the children; Life Zone- the fitness arenas and the Zen Zone – that lets you meditate and connect you with your inner self. All of them together ensure the physical, mental, spiritual and holistic well-being of its inhabitants. The premium development is planned to be attired with thoughtfully handcrafted amenities like an open-air gym, activity studio, reflexology pathway, gazebos, acupressure walkways, dance & art classes, cabana and children’s themed park. There is aseparate pranayama centre with AV display and an open-air fitness courtyard for those who stick to their fitness regimes. The other amenities available are a modern club house, meditation centre, rain water harvesting, swimming pool, multiple sports facility, day care centre, water & power back-up, 3-tier security and lots more. The verdant greeneries, incredibly-manicured landscapes and tree-lined roads keep the environment calm & peaceful. Life is absolutely fantastic at Godrej Prana Undri!! 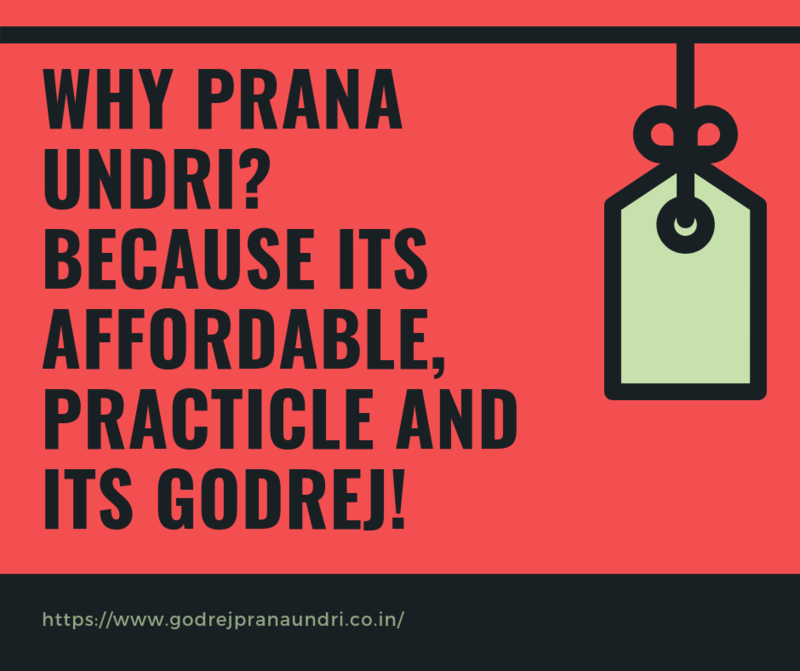 Starting at Rs 52.29 lakhs, the Godrej Prana price list ends at Rs 85 lakhs. The payment structure is well-supported by possession linked payment plans and easy home loan facilities. Coming up at Undri in Pune, the exquisite gated complex offers you the charm and convenience of the central location replete with modern comforts. The easy accessibility to various reputed schools, colleges, malls, hospitals, and other entertainment options make the area perfect to enjoys a blissful living experience. The project site is quite close to landmark locations like Country Club and Corinthians Club. It is half hour drive to Pune Railway Station and 45 minutes to Pune International Airport. All in all, Godrej Prana Pune offers you an array of affordable and practical homes that are embellished with all essential facilities & comforts of life. Enjoying all essential elements of an ideal project like ease of accessibility, upcoming location and proximity to IT hub makes this venture makes an excellent investment option.